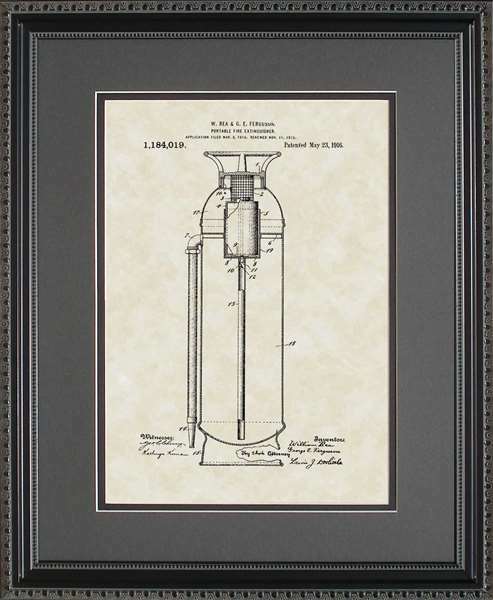 Is there a fireman, police officer or EMT in your life that you want to give a special and original gift? 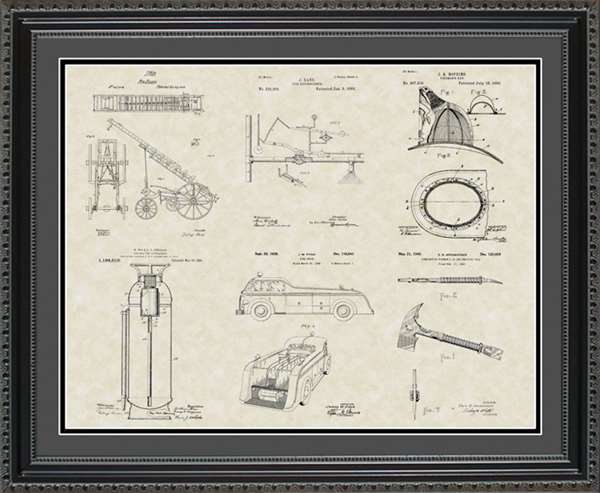 Wouldn�t you love to find something that will let them know just how much you appreciate the heroic efforts they make on a daily basis? 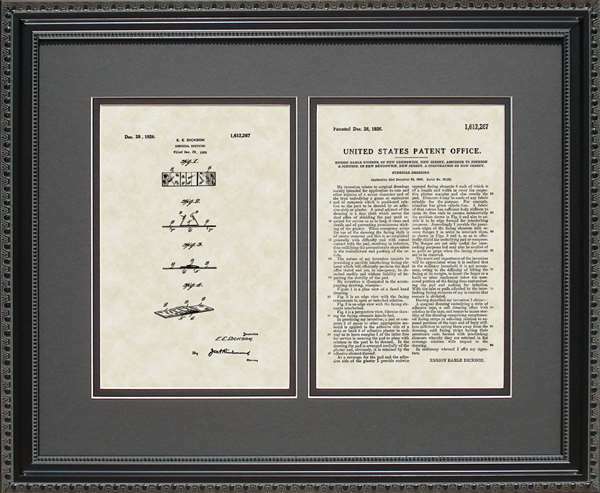 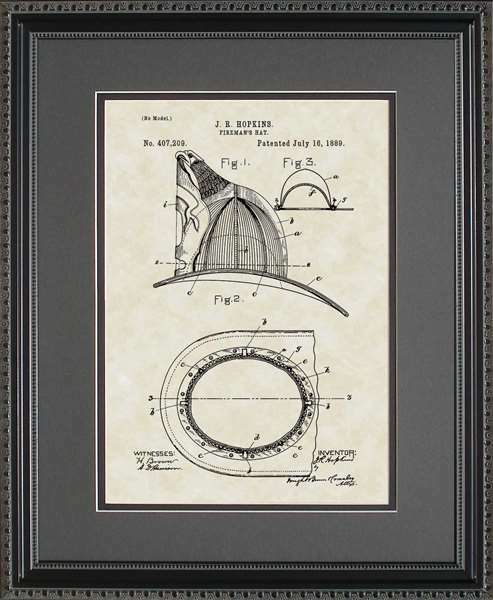 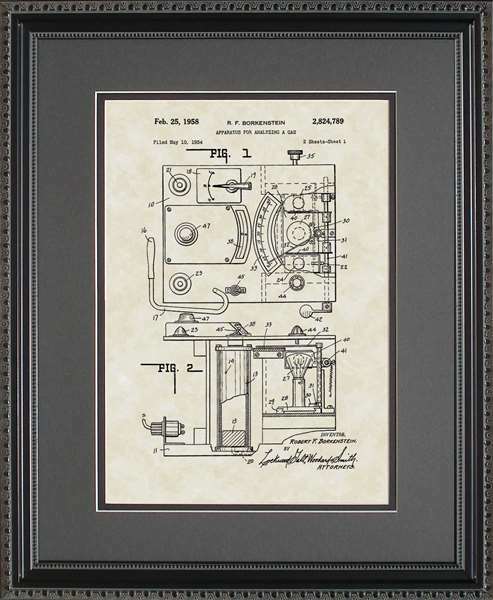 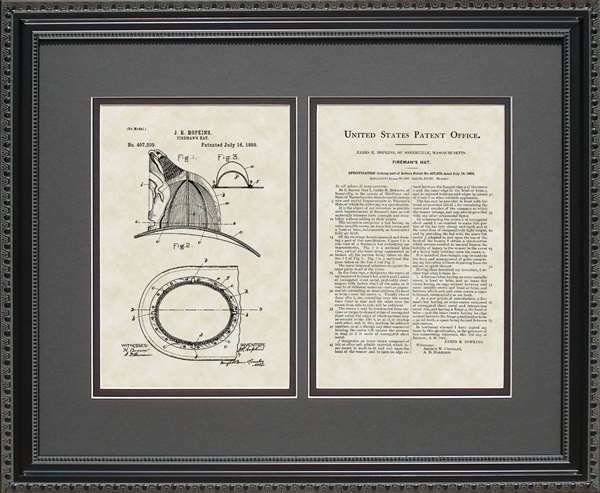 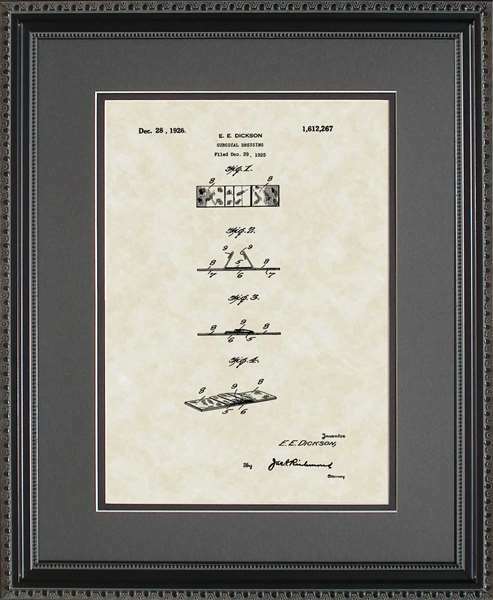 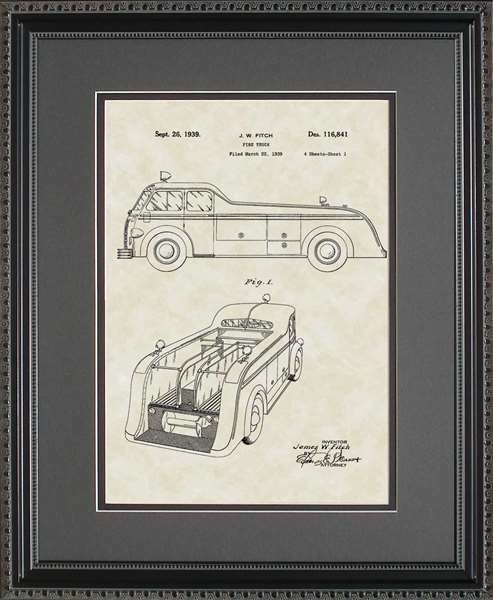 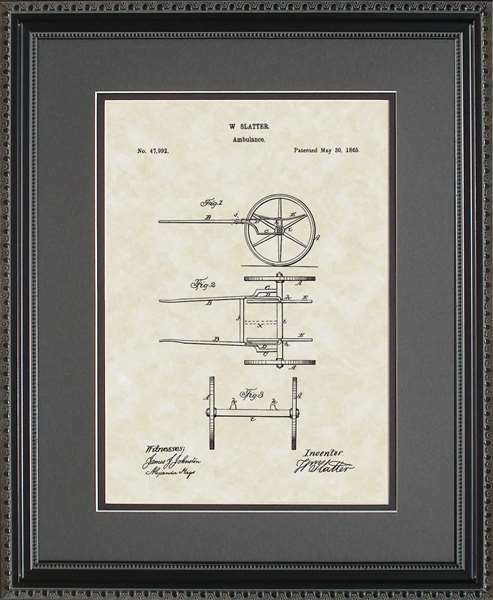 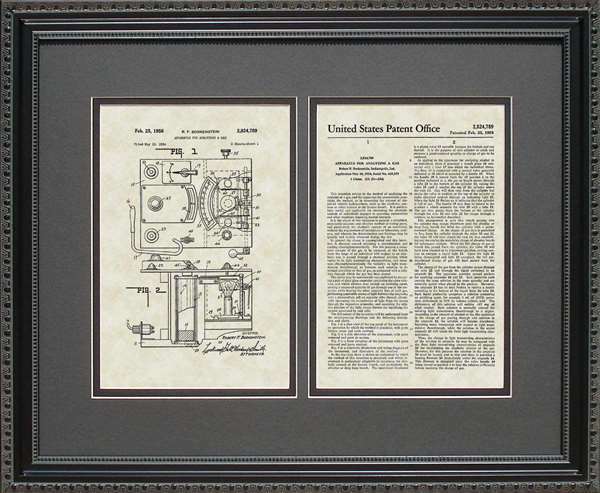 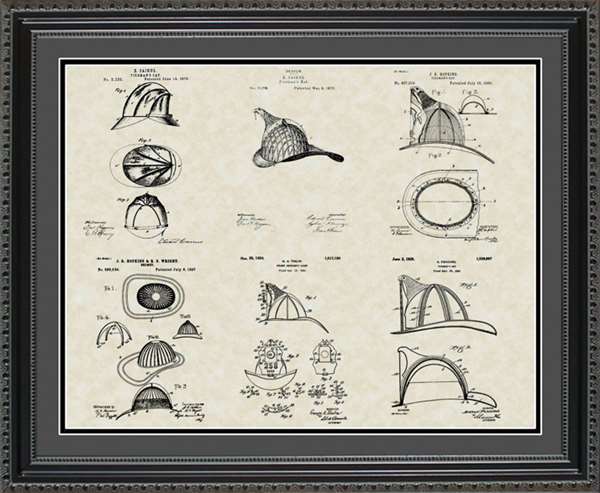 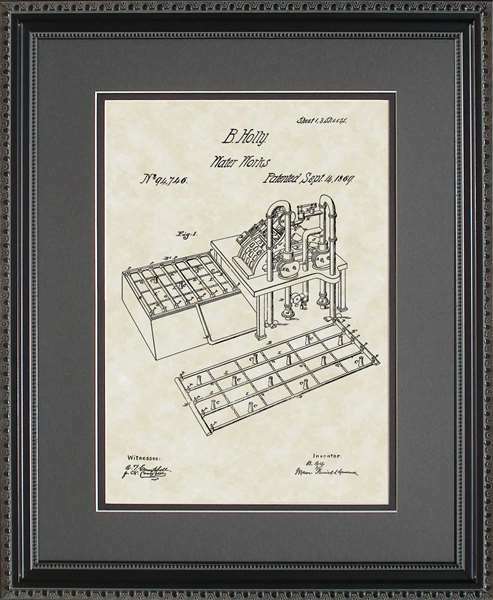 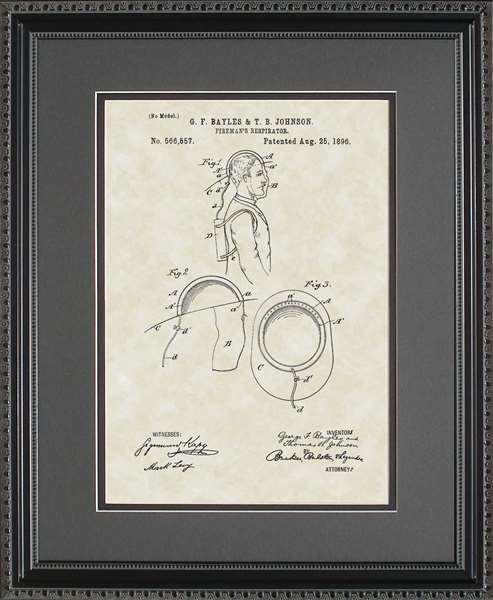 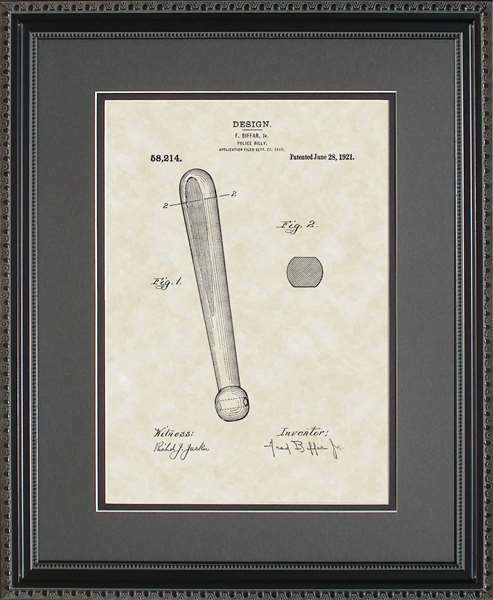 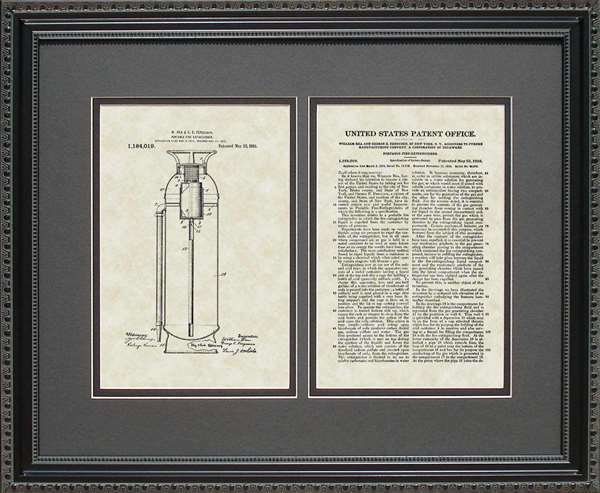 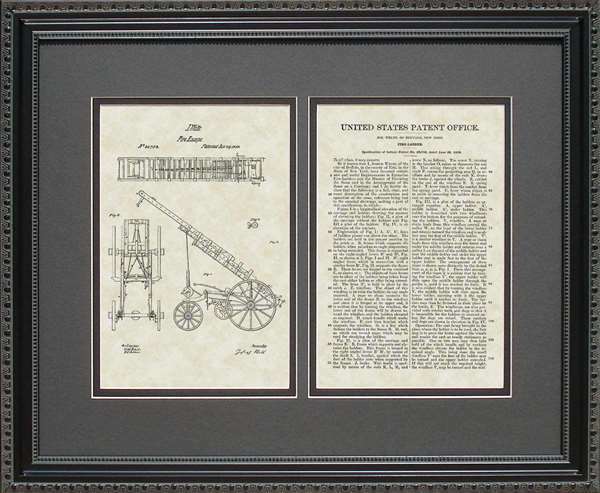 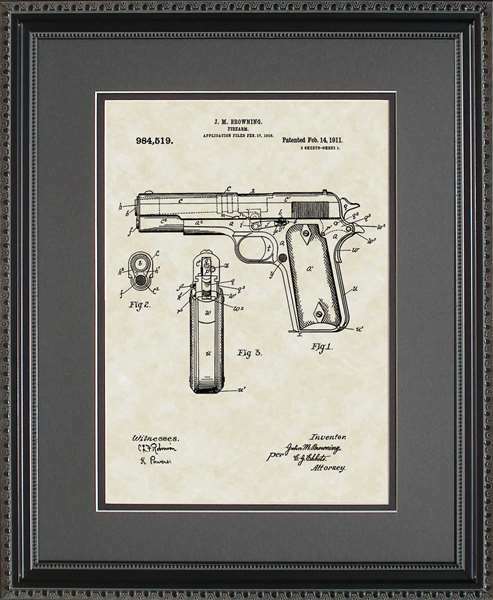 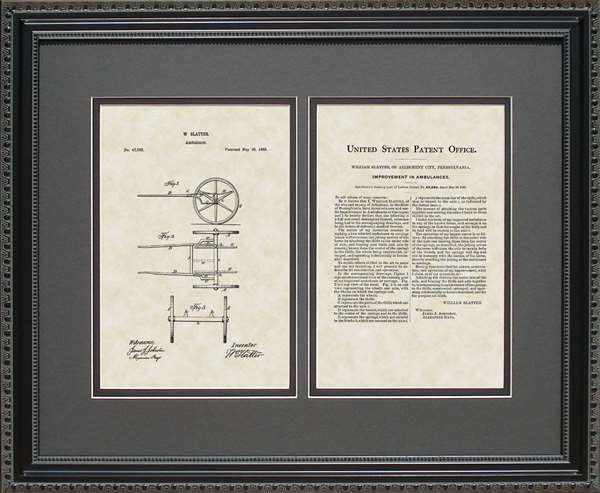 Look no further � a PatentsAsArt framed historic patent print is the perfect fireman or police officer or EMT gift choice! 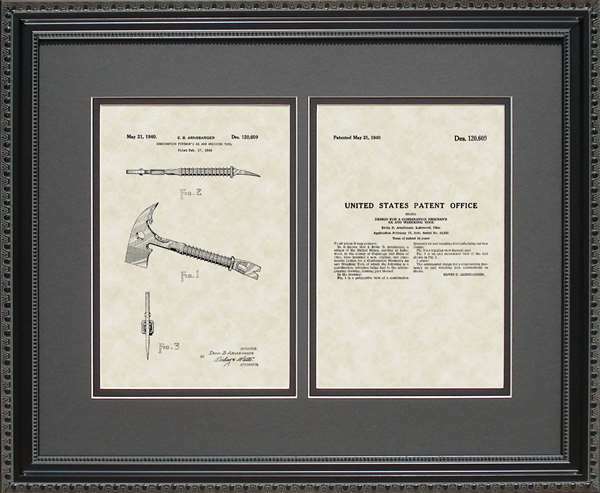 These original and quirky art patent prints make a perfect fireman gift or police gift and are sure to bring a smile to their face. 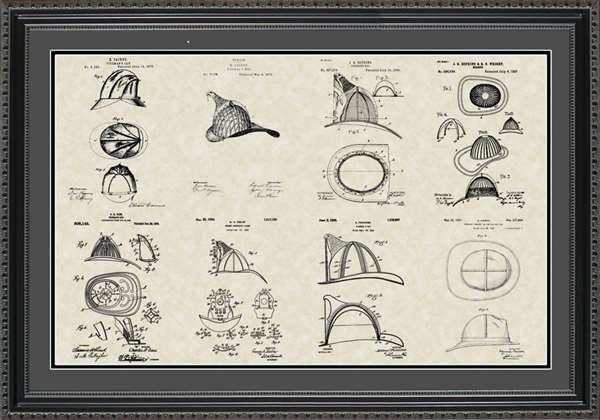 And if you are looking to give an EMT art as a gift, this is certainly the choice! 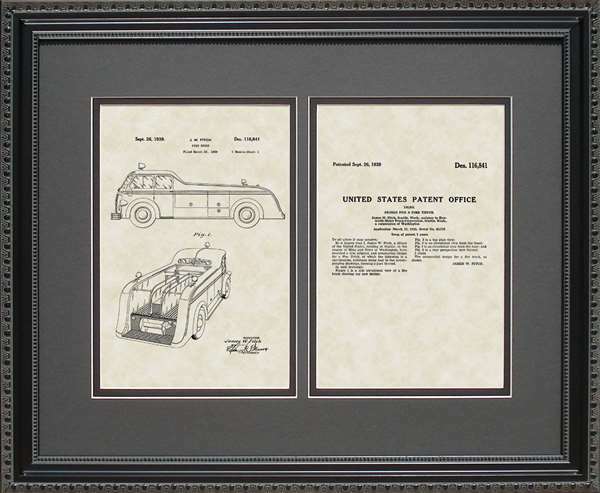 What EMT or fireman wouldn�t love a double-matted and framed quality print of the first Band-Aid Bandage or ambulance patent? 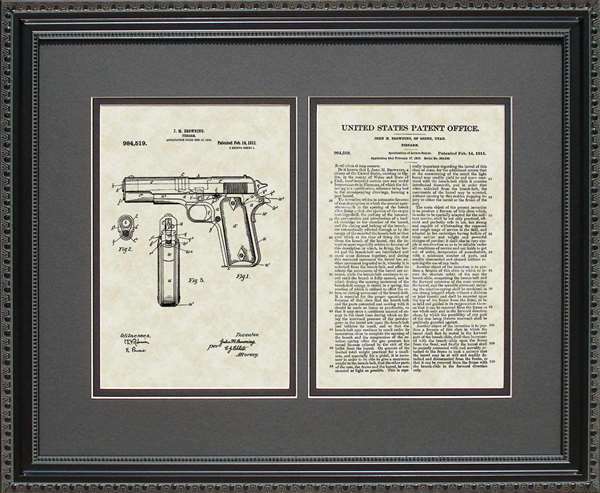 And what police officer wouldn�t get a kick out of receiving a reproduction of the original patent artwork for the Billy Club or the Breathalyzer or the Colt 45 Pistol? 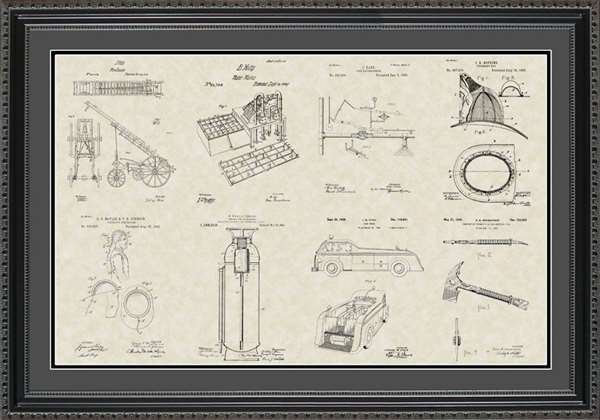 These prints are fireman art and police art at its best! 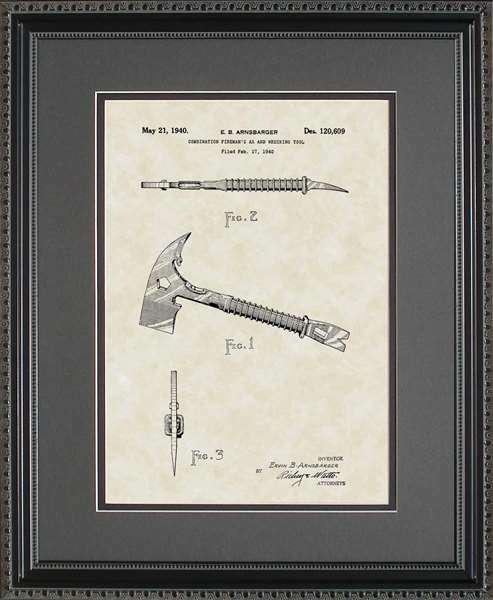 They immortalize the tools of the trade for police, firemen and EMTs as art. 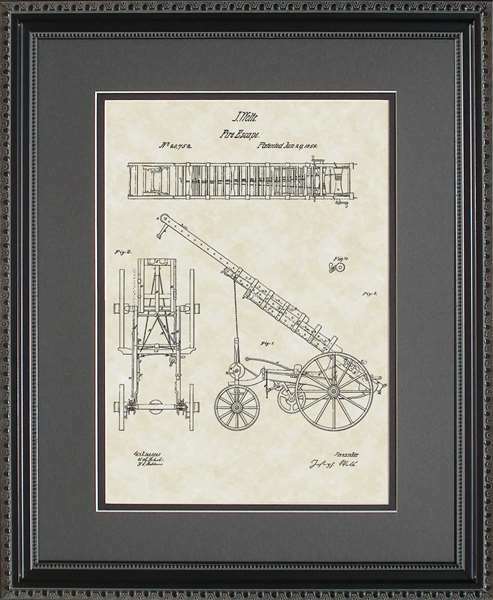 Firemen, police officers and EMTs take great risks and go to great lengths to perform a demanding and often dangerous job. 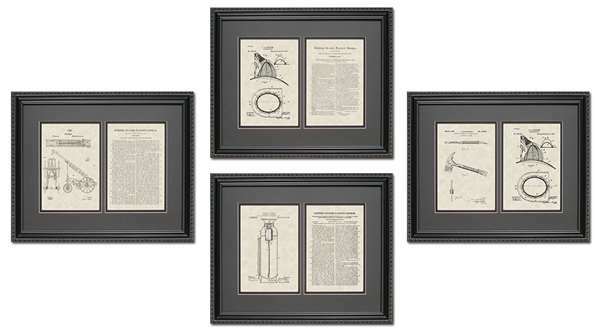 Why not give them a gift that will add a little light to their life every time they look at it? 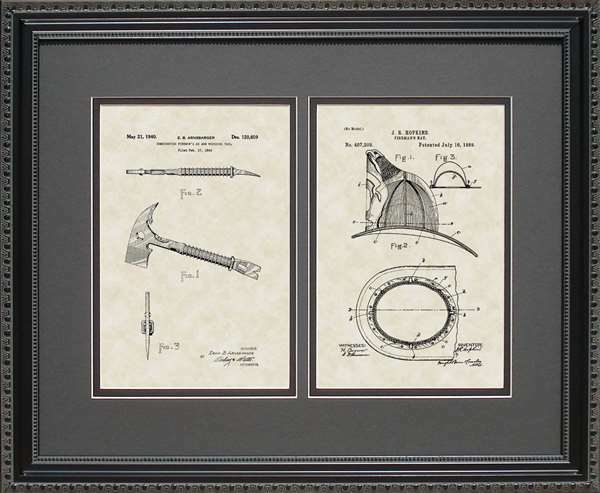 Why not give them a thoughtful gift that traces the historic paperwork of the tools every fireman, police officer and EMT is familiar with? 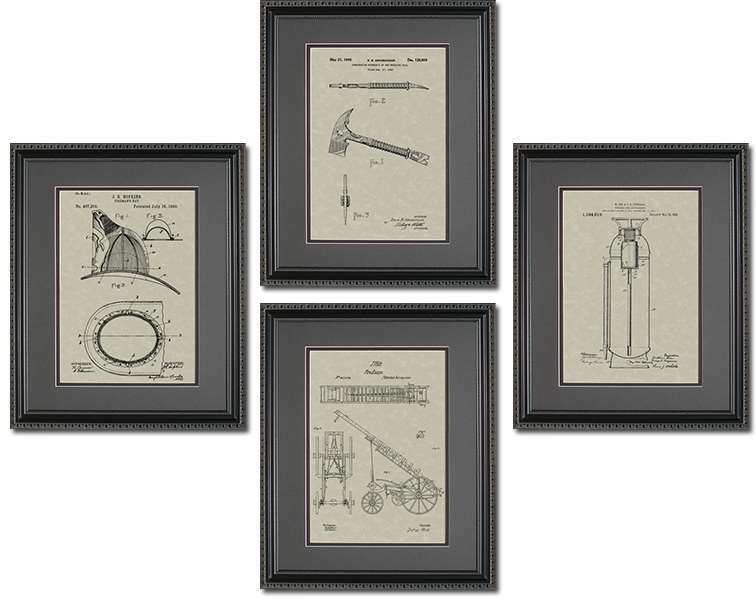 Give them a special gift that will last.